Capture fast-action photos or shoot 4K UHD video2 with write speeds of up to 90MB/s. 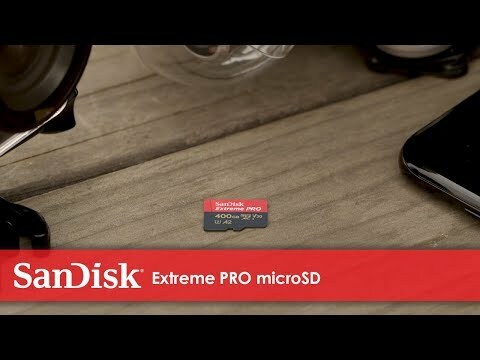 * The SanDisk Extreme® PRO microSDXC™ UHS-I Card lets you shoot more and faster. SanDisk Extreme® PRO microSDHC™ and microSDXC™ UHS-I Cards are shockproof, temperature-proof, waterproof, and X-ray-proof,3 so you can enjoy your adventures without worrying about the durability of your memory card. 5 For 64GB-1TB ONLY: A2 performance is 4000 read IOPS, 2000 write IOPS. For 32GB: A1 performance is 1500 read IOPS, 500 write IOPS. Results may vary based on host device, app type and other factors.